Access the most popular educational sessions from AADE18, covering all learning tracks from the meeting. Did you miss AADE18 in Baltimore? Were you unable to make every session you wanted to attend? 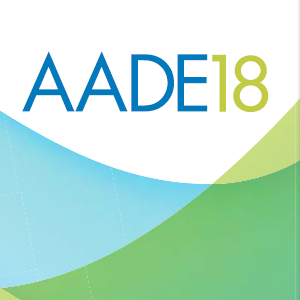 You have a chance to take advantage of these great sessions by purchasing AADE18 Sessions on Demand. • The Educator's Role in Advocating Peer Support: Why, When, and How? • Building Relationships Will Keep Them Coming Back: It's All About Retention! The sessions will accessible until July 31, 2019. The AADE18 Sessions on Demand are knowledge-based activities designed for diabetes educators, including RNs, RDs, Pharmacists, Nurse Practitioners, Clinical Nurse Specialists, Physician Assistants, MDs, and other health care providers interested in staying up to date on current practices of care for their patients with diabetes and other related conditions. The American Association of Diabetes Educators is accredited as a provider of continuing nursing education by the American Nurses Credentialing Center's Commission on Accreditation. Each of these programs provide between 1 and 1.5 contact hours of continuing education credit. The AADE is also accredited by the California Board of Registered Nursing (CEP #10977). 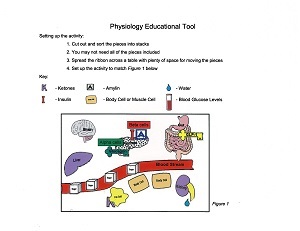 The American Association of Diabetes Educators (AM001) is a Continuing Professional Education (CPE) Accredited Provider with the Commission on Dietetic Registration (CDR). CDR Credentialed Practitioners will receive between 1 and 1.5 Continuing Professional Education units (CPEUs) for completion of each activity. Continuing Professional Education Provider Accreditation does not constitute endorsement by CDR of a provider, program, or materials. The American Association of Diabetes Educators is accredited by the Accreditation Council for Pharmacy Education as a provider of continuing pharmacy education. Each of these programs provide between 1.00 and 1.50 contact hours (0.1 - 0.15 CEUs) of continuing education credit.